As we embark on the 2019 chapter of the Texas Rangers rebuild we shift our focus to an improving farm system. It is well-documented that I believe the Rangers farm is much better than the industry gives it credit for and I still stand by that opinion. The fact of the matter is people love proximity and while you can find talent throughout this organization, most of it is a few years away from contributing in Arlington. 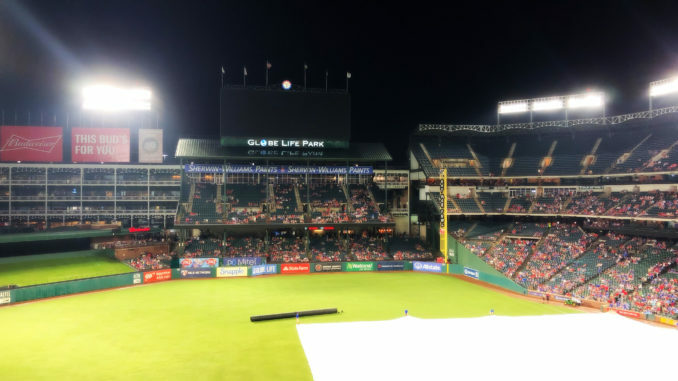 Despite the fact that the system is incredibly young, there are some players that may make their major league debuts during the Rangers final campaign in Globe Life Park. Bird was one of three pitchers that Tampa Bay sent to Texas in the three team trade that shipped Jurickson Profar to division rival Oakland. The 6’2 Flagler College product is actually involved in perhaps the most intriguing Spring Training storyline for the Rangers as the roster is pretty much set outside of the final couple of bullpen spots. There will be some tough competition for bullpen roles coming out of Surprise, but Bird is hoping that his low 90’s fastball and tight, hard breaking slider can earn him a spot when camp breaks. Even if he isn’t on the Opening Day roster, chances are we will see Bird at some point in the bigs in 2019. The 25-year-old has seen Triple-A in parts of three different seasons and the Rangers will need an arm to eat some innings at some point this year. Bird brings some experience and success at the highest level of the minors. The other lefty that joined the Rangers through the Profar deal, Burke won’t break camp with the big club, but may very well earn a September call up. Burke is a former third round pick out of his Colorado high school and the 22-year-old split time in 2018 between High-A and Double-A where he performed well at both levels. The southpaw throws a mid to high 90’s fastball and his 6’4 frame allows for great extension playing his stuff up even more. There is potential for a back of the rotation starter here down the road, but we may see the highlight of the Profar return make a bullpen appearance or two come September. The most intriguing name with the highest upside on this list, Hearn was also acquired via trade. The Texas native was a part of the Keone Kela deal as he came back home from Pittsburgh. Possessing absolutely filthy stuff, Hearn’s repertoire is highlighted by a running high 90’s fastball and complimented by an extremely developed changeup. The swing and miss stuff is there, but Hearn needs to be challenged on a higher level. He has topped out at Double-A so far over his career, so I think breaking camp and heading to Nashville will prove beneficial for him. If he impresses in Triple-A, he may add to a potentially young and lefty-heavy pen in September. Despite when he actually makes it to The Show, Hearn will be a fan favorite thanks to his Texas ties and competitive nature. Romano will break camp on the 25-man roster as he was acquired from Toronto through some maneuvers during the Rule 5 draft. The former 10th round draft pick was a starter in the minors, and a pretty good one for the most part, but he will serve in a bullpen role as he makes his MLB debut with the Rangers. The club’s front office is excited to watch the 6’4 righty in condensed outings to see how it affects his game. Traditionally he has lived in the mid 90’s with the fastball, but may ramp things up a bit in the shorter appearances. The Oral Roberts product has only logged five Triple-A innings, so there will be a bit of an adjustment period for him. Perhaps one of my favorite players in the Rangers system, Heineman is the definition of a gamer. As I state in my Rangers Top 50, he is a tough guy to rank. You have to enjoy the way he prepares and his professionalism as he shows up to the park everyday ready to play hard. There just isn’t a clear path for him in the majors at this point. The roster is full of young outfielders, and some not so young after these last few weeks, and it will be hard for Heineman to find playing time. With that being said, I do believe this is the year he makes his debut, although we may have to wait until rosters expand. While the 26-year-old may not be a part of the Rangers long term plans, he will add some depth during the rebuild and may hang around for a handful of years as a fourth outfielder. Over 1,639 MiLB plate apperances, Heineman owns a career slash of .298/.374/.461, with 38 homers and 60 stolen bases.